If you are a member of the AMA, you are encouraged to attend this conference as it incorporates the AGM of the AMA. There is no charge for members. If you have agreed to contribute to this conference, use this option. 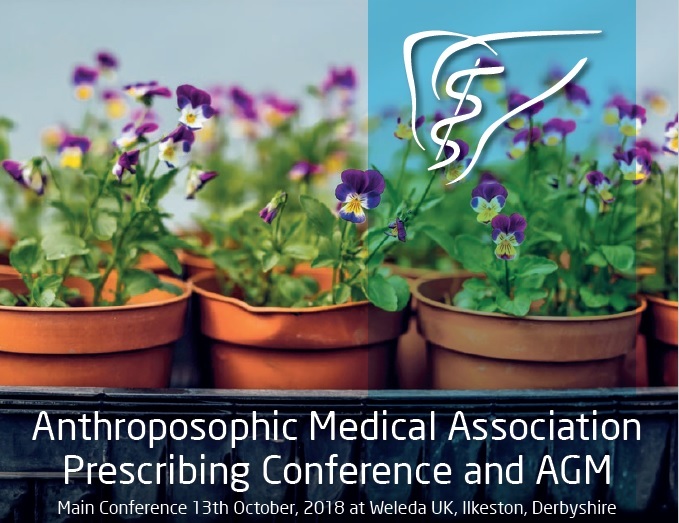 Doctors and nurses who are not members of the AMA are encouraged to attend this event and you may even stay for the AGM if you are interested in becoming a member of the Anthroposophic Medical Association. You may consider joining prior to registration in order to benefit from a discount. Visit the Join Us page for more information. Registration closes on 1st October but the sooner you confirm your attendance, the better for the organising team. Please note the change of location for the start of the conference - we are now meeting at Weleda Head Office. See links below for a map and directions. If you have difficulties affording travel or accommodation, help with a lift or a bed to sleep in locally may be available. Please register for the event and then contact the conference organiser and explain your difficulties. There will be a brief introduction at Weleda Head Office at 2pm, followed by a tour of the gardens and then a tour of the site. With a primary medical degree from Berlin and a doctorate in obstetrics, Dr Joyce moved to the UK in 1997 and trained as GP and as an Anthroposophic Physician. She works as a Locum GP in the South West and School Doctor at the Steiner Academy Hereford. She holds responsibility for the Steiner-Waldorf School Doctors in the UK and organises the postgraduate School Health Professionals Training.